What equipment is typically covered by your services? 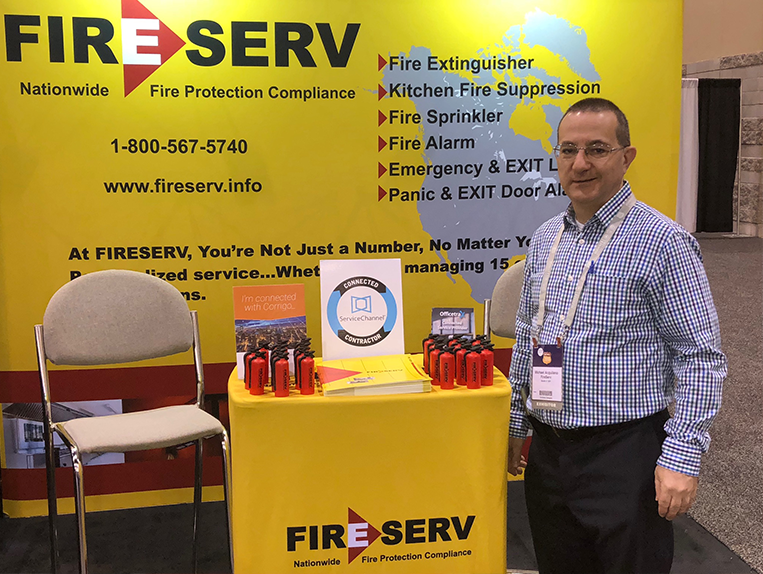 Typically, FireServ provides fire protection compliance services for equipment including Portable Fire Extinguishers, Emergency and EXIT Lighting, Door Panic Alarms, Fire Suppression Systems, Sprinkler Systems, and Fire Alarm Systems. To learn more, contact one of our experts today. Where does FireServ provide fire protection services? FireServ is a nationwide fire protection compliance company. We can provide all of our services including fire extinguisher, emergency & exit lighting, panic & exit door alarm, restaurant fire suppression, fire sprinkler, and fire alarm services nationwide, as well as in Canada and Mexico. What is the process to get started with FireServ? Contact one of our representatives today and tell us more about your business or the properties you manage. We will be happy to discuss all of the service options that we have for your fire and life safety protection systems. Make sure you are up to code on a local and state level and call FireServ today. Do you offer flat-rate service pricing? FireServ does not offer a flat-rate service option. Why? Using this type of pricing at a national level dramatically increases the risks of failure: field work not being done, violations or summonses issued and fire protection issues not properly addressed. With flat-rate pricing, the probability is too high that contractors are not paid enough, thereby not prioritizing the work or simply not doing it. There are too many variables involved at a national level i.e. different code requirements as well as different costs for labor, materials and insurance. We compensate our CCA's (Customer Care Agents) in the field by paying fair, pre-negotiated rates so they treat FireServ work as a priority and perform at the highest levels in the industry. Our customers have the peace of mind that their fire protection requirements are being handled promptly, properly and can count on a long-term relationship with their service provider. Do you have a question? Please Click Here to contact us.